This month, we’re interviewing women from all over the world and asking them about their experiences going on tours. 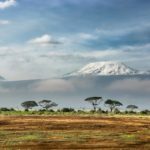 We had the privilege of speaking with Lynn Rosenberg about her experience touring Kenya and Tanzania. Here’s a glimpse into our conversation. I live in Los Angeles, and when I’m not traveling, I’m writing. I’ve written a memoir, two crime novels and I am working on a third. Check out my book: My Sexual Awakening at 70. Abercrombie & Kent. We went to East Africa (Kenya and Tanzania). We spent a lot of our time in a jeep looking for animals. We’d get up very early because early morning is the best time to see them. It is common to go on a tour in Africa. We were adventurous, but not that adventurous to go by ourselves. What were the highlights of the tour? What disappointed you about the tour? There were many highlights, but one of them was getting close to a group of bachelor elephants when two of them got into a fight. It was both terrifying and exciting, as we were very close to them. I kept whispering (you have to whisper on the jeep when observing the animals so as not to disturb them) “Maybe we should leave,” but neither the tour guide nor the driver made any move to get out of there. Fortunately, it ended well — for us. We don’t know how it finally ended for the elephants! Sign up for a FREE online writing workshop here. What are some of the benefits of participating in a tour? What are some of the downsides? Would you participate in another tour? The benefits of participating in a tour is that so much is done for you. You just show up. And especially in Africa. Some people do go with a guide and pitch a tent, but my friend and I weren’t keen on doing that. There really weren’t any downsides. Yes, I would participate in another tour, especially in Africa. In Europe, for example, I’d rather just go with a friend and see the sights on our own.